The Game of Dissensus was designed for and played by a group of teenagers living in a favela in Brazil that was under structural intervention of the State in a large spatial transformation project. The conception of the game was based on the Corbusian functional segregation of the city. Players have been invited to deconstruct such a proposed spatial logic and encouraged to imagine other ways of producing and using their environment. 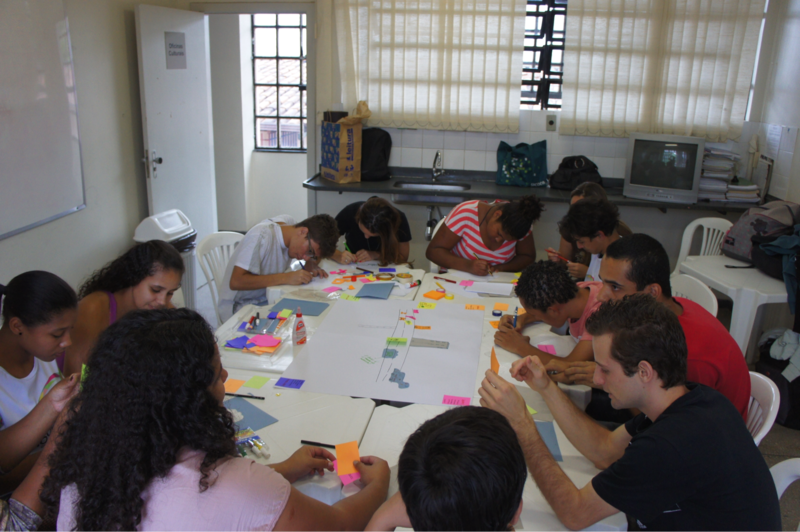 The Game of Dissensus was an experiment held in May 2013 with a group of teenagers in a social risk situation at Aglomerado Santa Lúcia in Belo Horizonte, Brazil. Aglomerado Santa Lúcia is a favela area, which at the time was under a spatial restructuring process promoted by the municipality with funds from the federal government. The game has in its essence the modern propositions published in 1933 by Le Corbusier in The Athens Charter, which separates the city functions in residential, leisure, work and circulating areas. Despite all the criticism made over the century that followed its publication, this model still remains in the practical repertoire of technicians and city planners. Therefore, the argument of the game – although the players were not familiar with this theoretical background – was the deconstruction of the ordering separation of functions, blurring the boundaries between them and freely proposing uses for city spaces. 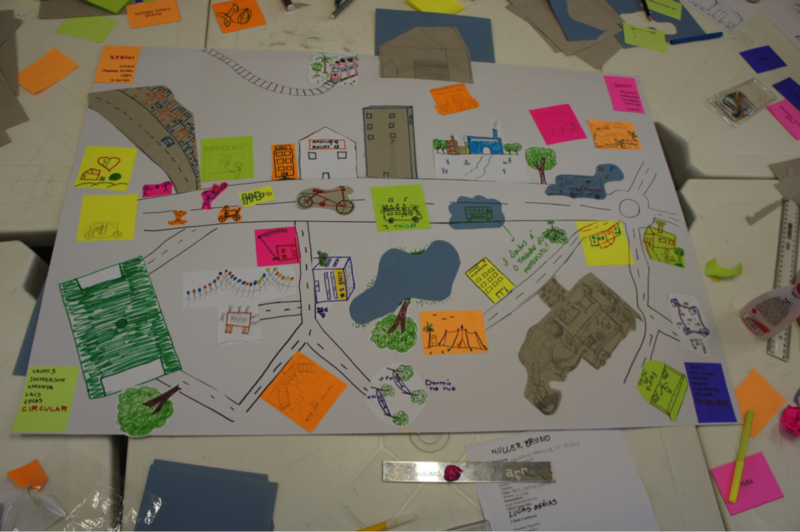 The experience was called The Game of Dissensus when – under the notin of dissensus as presented by Jacques Rancière – we could compare the city imaginary that was revealed during the game session to the processes and results of the participatory program promoted by the state in the spatial restructuring of Aglomerado Santa Lúcia.